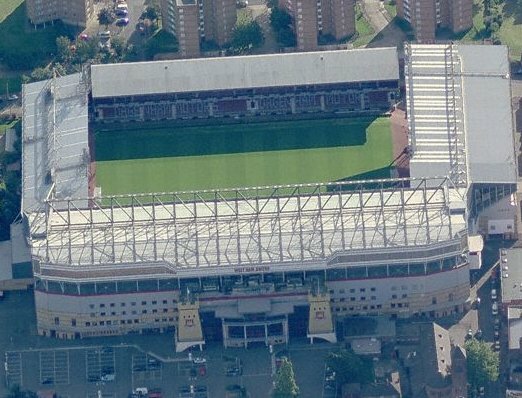 Take an aerial tour around Boleyn Ground. (requires Google Earth). 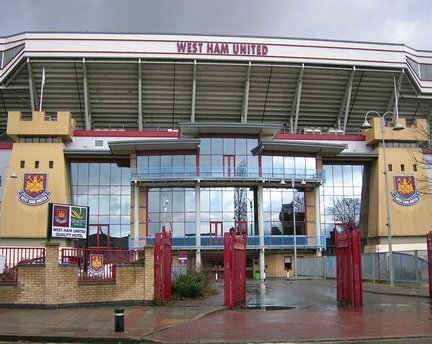 The West Ham United Ticket Exchange is now open for the 2010 - 2011 season. Buy tickets from Upton Park season ticket holders who are unable to attend matches via their Official Ticket Partner. From the M1, turn off onto the A1 at junction 2/3. Join the A406 North Cicular Road and continue east for 17 miles until the junction with the A124 Barking Road. Turn right into Barking Road and continue for 2 miles, turning right into Green Street. 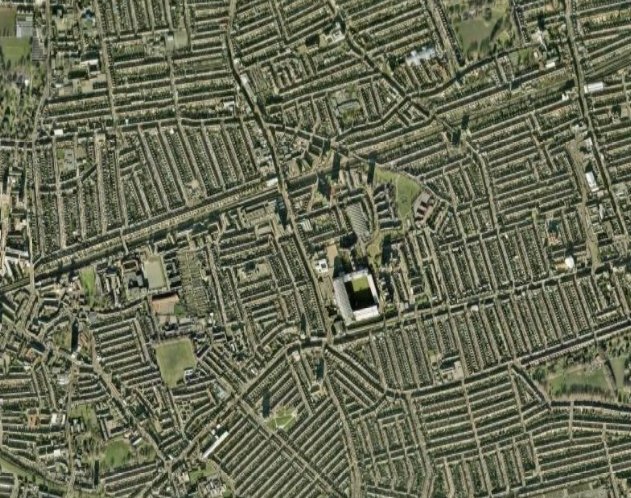 Upton Park is on the right. Approaching London on the M40, at junction 1 stay on the A40 for 10 miles before turning onto the A406 North Circular Road eastbound. Stay on this road for 23 miles until the junction with A124 Barking Road. Then as route from the North. From the M3 turn off onto the A406 at junction 2. Continue for 10 miles until you reach junction 15 at which point you turn off onto the M4. Then as route from West. The nearest railway station is Barking. The nearest tube stations are Upton Park and East Ham on the District Line. Parking is very restricted with little off-road parking. The best areas to look for spaces are roads left of Barking Road, once you are past the lights at East Ham Town Hall. 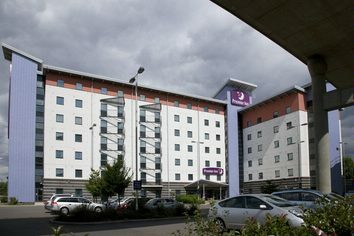 You can park at Newham General Hospital, where there is a pay and display car park and is about a 15 minute walk from the ground. 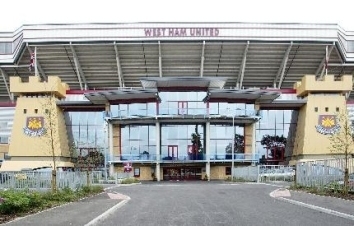 Email us to recommend any local attractions near to the Boleyn Ground and we will list them here. 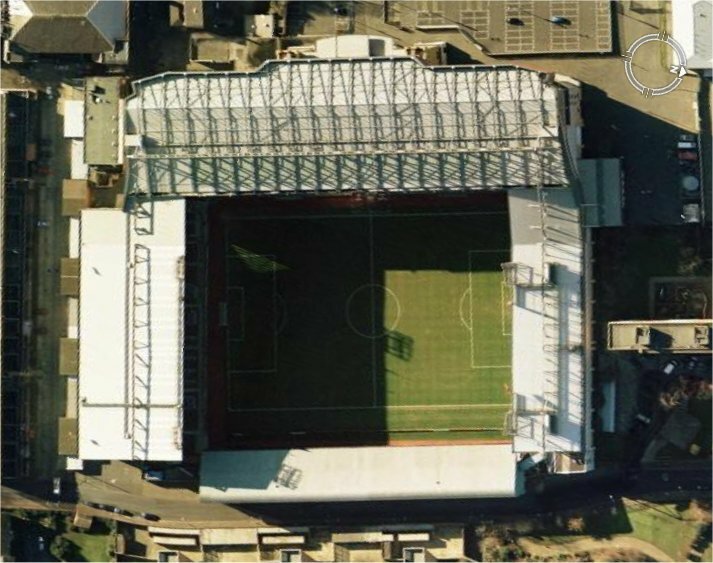 Most of the pubs around the ground are for home supporters only. The Wetherspoons called Millers Well which is opposite East Ham Town Hall is about a twenty minute walk away along Barking Road but comes recommended. Email us to recommend any pubs and restaurants near to the Boleyn Ground and we will list them here.